Going green starts close to home; as close as that tube of lead free lipstick in your cosmetic bag! If you aren't familiar with this safer alternative to traditional lipstick, read on to discover what makes it different. You hear about it nearly every day. Breaking news alerts the general public to the dangers of toxins found in basic household products. Everything from plastic bottles to body lotions has come under scrutiny. 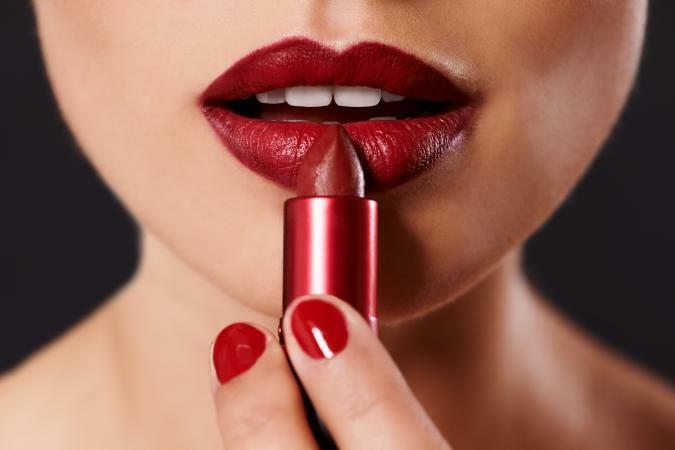 However, very few products have created the sort of media hubbub that lipstick did when it was first reported that the high lead content could lead to cancer. The story spread like wildfire thanks to an anonymous e-mail that claimed lipsticks could be tested for their lead content by rubbing a gold ring against a lipstick mark on the back of a hand. The story suggested that if the color turned black, the lipstick could be considered harmful due to a high lead content. Of course, urban myth-debunkers quickly put this claim to rest, noting that everything from the cancer threat to the gold ring testing method was false. The small amount of lead in lipstick, it was said, was simply not enough to cause cancer. While this may set some minds at ease, it might also raise more questions in the process. The Food and Drug Administration (FDA) does not have a standard limit set for lead content in lipstick (as it has for candy, for example). The FDA does regulate cosmetics under the Federal Food, Drug and Cosmetic (FD&C) Act, but cosmetics are not subject to pre-market approval. The color additives in cosmetics, however, do require approval. 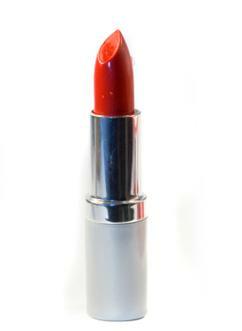 Due to the growing concerns of lead content in lipstick, the FDA turned its attention to the matter. Its evaluation found that the amount of lead was simply too miniscule to be considered harmful, and that the levels found did not exceed the trace amounts that would be essentially unavoidable in standard manufacturing conditions.Of course, many individuals maintain that any lead content is reason enough to find a safer alternative. The truth is that so many personal care products on the market today contain unpronounceable and foreign ingredients. It's important to know what's going into the body via bloodstream absorption or even trace amounts of lipstick consumption. Now, thanks to a handful of cosmetic companies, a new alternative to traditional lipstick is available. Knowing what you're putting into your body means becoming a more informed consumer. If you're concerned about the lead content in lipsticks and any potentially harmful side effects they may cause, you might want to turn your attention to lead free lipstick. Though they aren't widely available - you aren't like to see them at your local drugstore, for example - they are still easily found with a little bit of effort. Remember, knowing what's in the product and its effect on the body that will make you more aware in the long term. As brands continue to recognize the growing concerns about lead in personal care products, more and more of them are introducing lead-free items to their lineups. Here are some lipsticks that fit the bill. This company's lipstick is not only lead-free, but also formulated with the most conditioning, soothing ingredients available. With jojoba oil, aloe vera and natural waxes keeping lips soft and supple, this lipstick is an instant winner for people hoping to introduce natural products to their makeup collections. It's available in a wide selection of colors, and the formulas are matte, sheer or satin finishes. Infused with all-natural ingredients, such as spring water, vitamins, herbs and essential oils, Zuzu Luxe products are renowned for their diverse colors. Their lipsticks are available in a variety of shades, all in warm, cool or neutral crème or shimmer formulas. Indulge in some of the most pampering lipsticks of them all. These lead-free colors are chock full of conditioning botanicals, such as Monoi de Tahiti, cloudberry, macadamia, kukui, avocado, cranberry seed and hempseed. A naturally delicious berry and nut fragrance adds to the product's allure, but it's really the healthy ingredient list and stellar colors that will keep fans coming back for more!